Why is my Doctor Prescribing Zio? The Zio system is proven and trusted by physicians to detect and diagnose irregular heart rhythms — and has been prescribed to hundreds of thousands of patients. The FDA has cleared the Zio system to monitor for many different kinds of irregular heart rhythms. In a study, physicians were able to reach a diagnosis 90% of the time with the Zio system1. 1Barrett, P., et al. Comparison of 24 Hour Holter Monitoring Versus 14 Day Novel Adhesive Patch Electrocardiographic Monitoring. American Journal of Medicine, 2014. What is ambulatory cardiac monitoring? Do you sometimes experience a skipped beat in your chest? Or feel a racing of the heart? Your heart might beat too slow, too fast, or with an irregular beat. It may feel like skipped beats or a brief pause. It might be so slight that you don’t even feel it or experience any symptoms. You may have an irregular heartbeat or an arrhythmia. Fortunately, there are treatments available for arrhythmias. However before you can begin treatment, the condition must be diagnosed. A simple, one-time test with the Zio by iRhythm system could be all you need to find out whether or not you have an arrhythmia and what kind you have. Your doctor can then use this data to prescribe the most effective form of treatment. What causes arrhythmias, or irregular heart rhythms? Arrhythmias may be caused by many different factors, including prior heart attack or heart disease, high blood pressure, diabetes or sleep apnea. Irregular heart rhythms can also occur in "normal, healthy" hearts. For more information, visit Arrhythmia Alliance and the American Heart Association website. You can use the the interactive AFib Risk Assessment tool to help estimate your risk of AFib. An electrocardiogram — abbreviated as EKG or ECG — is a test that measures the electrical activity of the heartbeat. With each beat, an electrical impulse (or “wave”) travels through the heart. This wave causes the muscle to squeeze and pump blood from the heart. A normal heartbeat on ECG will show the timing of the top and lower chambers. For more information please visit the American Heart Association. An ambulatory ECG records the electrical activity of your heart while you are doing your normal everyday activities. “Ambulatory” means that you are able to stand and walk, and are not stationary or motionless. Many heart problems are only detectable during activity such as standing or walking and will not appear in a brief test in your doctor’s office. 1Turakhia, M., et al. (2013). Diagnostic Utility of a Novel Leadless Arrhythmia Monitoring Device. The American Journal of Cardiology. The Zio ambulatory cardiac monitor is a small, unobtrusive, and water-resistant patch—you might even forget you’re wearing it. The Zio monitor records and stores every beat of your heart, whether you're sleeping, working out, or showering. myZIOTM makes it easy to record your symptoms as they occur. Now you don’t have to carry a separate Patient Instructions and Button Press Log book to record your symptoms as they occur. 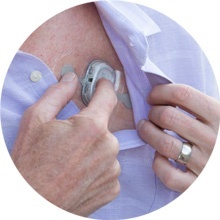 After the comfortable, easy-to-wear Zio monitor is applied, the Zio patch records and stores every single heartbeat. These recordings are analyzed by a powerful Zio system that identifies any irregular rhythms you’ve experienced—how many, what type, and when. In a study, physicians were able to reach a diagnosis 90% of the time with the Zio system2. Your doctor receives a clear report that shows how many and what types of irregular heart rhythms you experienced, as well as your normal heart rhythm, and when they happened -- all to help determine the best course of treatment. 2Barrett, P., et al. (2014). Comparison of 24 Hour Holter Monitoring Versus 14 Day Novel Adhesive Patch Electrocardiographic Monitoring. American Journal of Medicine. 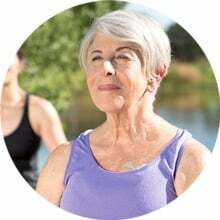 When the Zio XT patch came along as a viable substitute to my prior monitoring system, I was thrilled that I could now exercise, shower, and engage socially without the visible stigma. I felt I was reclaiming some of my life back. THANKS TO WHOEVER PUT YOUR MONITOR TOGETHER. It was simple to use, unobtrusive, easy to access in order to "highlight" events … and I even got to shower regularly! It was absolutely comfortable. Most of the time, awake or asleep, I didn’t notice that it was there. Ended up needing a total pacemaker replacement and wire extraction....Without the Zio patch, no one was listening or able to see what my heart/pacemaker issues were with the old 12-lead monitor. We had ideas but nothing concrete until the Zio patch. The Zio Patch gave my MD at Brigham and Women’s the tools necessary to come up with a plan, fix what was wrong, and know what was wrong. I went to Dr. Chang for stroke-like symptoms, and he had me wear the iRhythm monitor for two weeks to discover what was happening. This easy-to-wear, comfortable patch was really the catalyst for me getting a pacemaker and, more importantly, getting my life back.